We are delighted to be bringing this fun event to Montpelier and with your help we will transform the streets into an outdoor gallery for all to enjoy! It\’s a wonderful community event and anyone and everyone can take part! Please don’t feel intimidated. A ‘display’ can be as simple as a candle, book, fairy lights or image in a window. 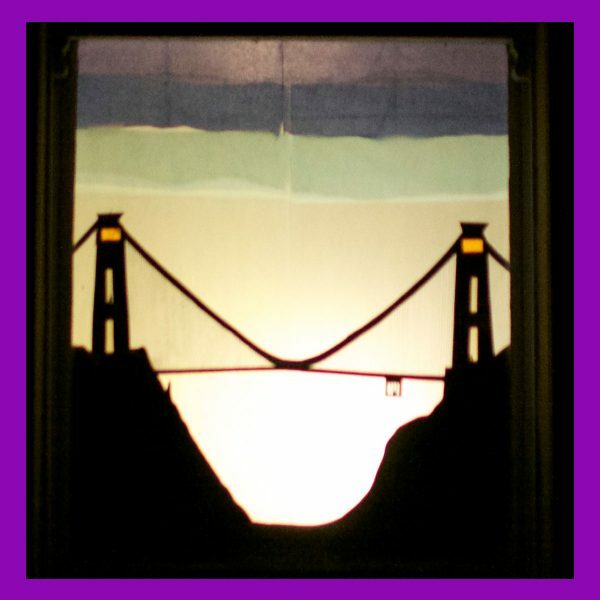 It can involve a performance in a front room or involve light projection onto your building! Simple or spectacular… It’s completely up to you. Anything goes… so long as it’s family friendly! – Tell your friends and neighbours and ask them to get involved too! – On Saturday 17th and Sunday 18th March go for a walk around our neighbourhood and see what we can all create! – You will get a ‘Welcome Pack’ when you sign in, giving you access to our ‘display ideas’. 11th March, or you can still sign up to be online after that date. We will announce where the maps are going to be available nearer the time, so watch the map grow! If you are a local business and would like to sponsor the first ever Montpelier Window Wanderland, then do get in touch! There are opportunities to promote local shops, cafes or businesses on the map.